On May 4, 2018, Felda Global Ventures stated publicly that Felda IFFCO had, as of March 12, 2018, sold its 50 percent equity investment in PT Synergy Oil Nusantara (PT SON). Felda IFFCO is the joint venture between Felda Global Ventures and IFFCO, who is based in the United Arab Emirates. Felda Global Ventures has not disclosed who purchased Felda IFFCO’s former 50 percent equity stake in PT SON. PT SON manages a palm oil refinery in Batam, Indonesia with a refining capacity of 1 million tons / year. PT SON was a 50/50 joint venture between Felda IFFCO and Lembaga Tabung Haji, who is a large Malaysian Islamic financial institution, with over USD 16 billion in assets under management including its publicly-traded palm oil company TH Plantations. Felda Global Ventures’ statement is in response to a May 1, 2018 article on Mongabay, that referred to Chain Reaction Research’ April 12, 2018 report TH Plantations and PT Synergy Oil Nusantara: Leakage Risks at Plantation and Refinery. This report had identified that Felda Global Ventures was exposed to reputational risks because of PT SON’s weak sustainability commitment and leakage supplier base. 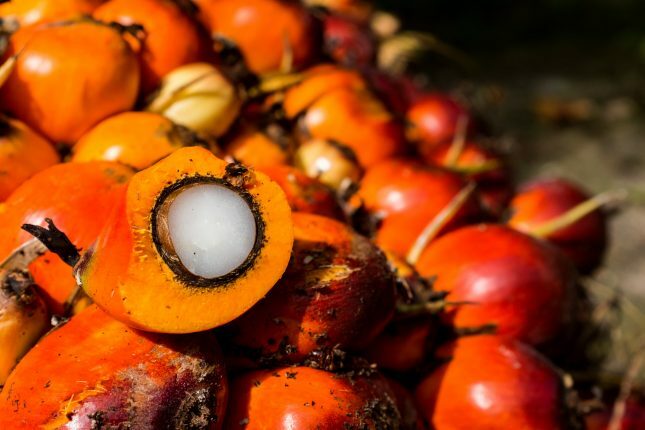 This risk arose because PT Synergy Oil Nusantara has served as a replacement buyer for palm oil growers who exhibited material deforestation risk. PT SON had faced public criticism for purchasing palm oil from two companies suspended by other traders because these two companies violated their buyers’ No Deforestation, No Peat, No Exploitation (NDPE) policies. These two companies were Sawit Sumbermas Sarana and Austindo Nusantara Jaya. As described in Chain Reaction Research’s May 2, 2018 report The Financing of Leakage Refiners: Shareholders and Loan Issuers Include International Financial Institutions with Palm Oil Policies, Felda Global Ventures’ sale reduces the number of companies invested in refineries that operate without NDPE sourcing commitments. This report identifies 52 leakage refineries in SE Asia. On April 9, 2018, Felda Global Ventures’ updated its NDPE policy to: “aim(s) to restore all its developed peat lands in line with our 2017 Sustainability Policy, without causing social conflict”, among other pledges. Felda Global Ventures also stated that it had submitted a Peat Restoration Plan to Indonesia’s Ministry of Environment and Forestry (KLHK) for the peatlands drained by its subsidiary PT Temila Agro Abadi.